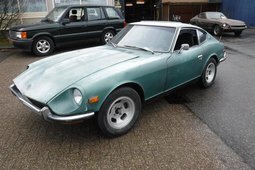 Datsun Z series is a well respected model, which now is slowly becoming valuable. The car is from a brand, which nowadays is forgotten in most continents – Datsun. It’s the legendary Z series coupe, which had three generations: 240Z, 260Z and 280Z. 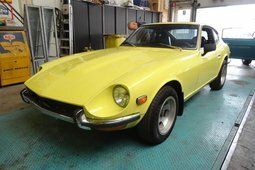 In Japanese market the car was known as Nissan Fairlaidy Z, but it does not differ from Datsun Z series, sold everywhere else. 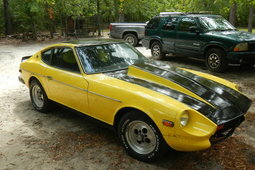 It was produced from 1969 till 1978 when the star of ZX series started shining, called Nissan/Datsun 280ZX. Nissan has been using Datsun name everywhere except Japan till 1981. Datsun 240Z debuted in Japan in 1969 and was introduced to Americans later that year. It was a Japanese solution to fight American pony cars. The US market was full of big engine coupe cars and Nissan thought that Americans would prefer a different approach with the vehicle from another continent with one third capacity of the engines they loved before. They weren’t wrong. 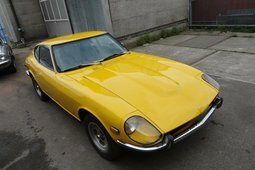 The Z did not force Americans to buy economical and small vehicles, but found its way into their hearts with unique styling and driveability – 240Z had four-wheel independent suspension, which was not a common thing in American cars. The 240Z’s performance was like fast European cars as Porsche 911T or Jaguar E-Type, but it did cost twice less. So it was popular – the sales of 240Z reached 45,000 in 1970 and stayed in similar level for next years. The only thing Z lacked was power. 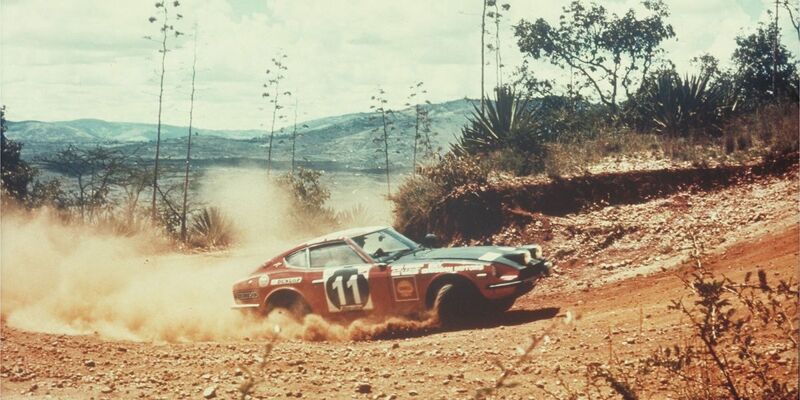 In Japanese terms the 240Z has been powerful enough, however, 2.4 liter displacement and 151 hp did not make a good impression to Americans, who were used to V8 with 5 or more liters in capacity. There‘s a joke that the phrase “There is no replacement for displacement” appeared during the American debut of 240Z. 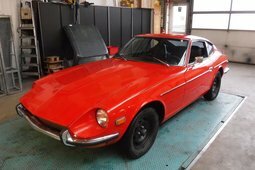 In 1974 the vehicle did small evolution into the name 260Z. The engine’s capacity was enlarged to 2.6 litres, however USA federal regulations forced Nissan to reduce ignition timing and compression ratio to fit new emission laws. The result was not satisfactory – engine’s power has lowered to 140 hp. 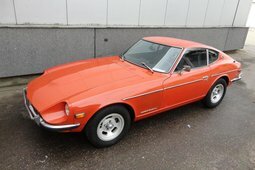 However, 260Z produced an output of 165 hp in other markets. 1975 was the debut of 280Z, the updated model was fitted with a bigger 2.8-liter engine. 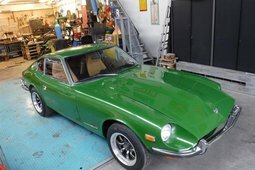 Datsun engineers offered a solution, how to fit into strict emission regulations and maintain high power – the 280Z had a fuel injected engine. Two years later 280Z got a five speed manual transmission, which replaced a former four speed mechanical. 1979 was the year when new generation came into market – the Nissan S130 series, which was named as Datsun/Nissan 280ZX in most markets and as Nissan Fairlazy Z in Japan. It even had turbocharged engine from the same L family as older models with output of 180 hp and 275 Nm. 280ZX was the most successful Z series car and after setting records in sales (more than 86,000 in 1979) stepped aside new cars market in 1984. Its successor is Nissan 300ZX, built on a new platform with an absolutely different engine. 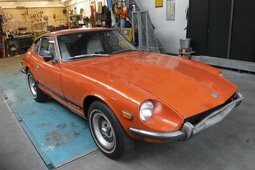 Most of 40 years old Z cars now are being sold in USA as it has been the largest market for them. It is possible to find one for less than €10,000 and not hard to look for a well maintained original example if your wallet lets you pay €20,000. Rusty condition cars with high mileage can be even found for less than €5,000. 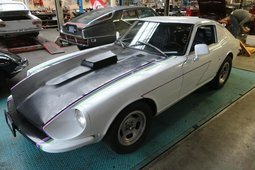 It is not hard to find parts for a Z car, however it is always better to look for a vehicle which spent its life in dry state as California and needs to be repaired less. Nowadays 240Z cars are valued most, because they are the oldest, but exact price usually depends on condition. There aren’t many special edition models, which cost twice regular price, but Datsuns, which have been used in racing series, worth more than ordinary models.